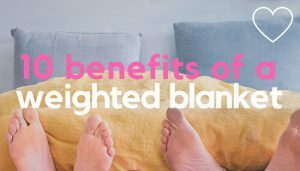 If you’re looking to the therapeutic benefits of a weighted blanket to help you get a better night’s sleep, you’re part of a growing wave of people, with insomnia or anxiety, doing the same. 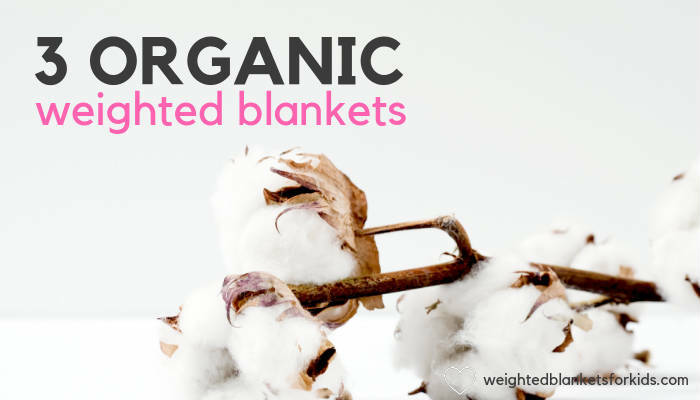 But if you’re looking for an organic weighted blanket (cotton or otherwise), you may have noticed they’re not so easy to come by. Weighted blankets made from Minky Dot fleece, cotton or even bamboo fabrics are becoming increasingly popular, but certified organic materials aren’t so common. This is likely to do with the more rigorous standards involved in organic farming, which can sometimes make it more expensive. The good news though is that there are some weighted blankets that use organic cotton, or other organic materials, as the primary fabric in the blanket. Read on to find out which one’s right for you. If a product is labelled as organic, its been produced and certified to organic agricultural standards. This means its grown without the use of toxic chemicals or GMOs, using production processes that work to sustain the health of soils, ecosystems and workers. If you’re not already familiar with how weighted blankets work, it’s pretty simple. Heavier than a regular blanket, a weighted blanket is filled with tiny pellets or glass beads. These are sewn into ‘pockets’ so they apply a gentle and even pressure on the body of the user. Known as deep touch pressure (DTP), this ‘hug like’ sensation is believed to help calm the nervous system and aid sleep. Here are 3 weighted blankets that are listed as ‘organic’. Keep in mind, blankets may still use fibres such as polyfill as a padding inside the blanket. Refer to the product details to be sure exactly what materials the blanket may contain. The great thing about the Serenity Weighted Blanket is that’s it organic inside and out. Some weighted blankets, which are listed as organic, sometimes have an organic cotton weighted insert or an organic cotton duvet cover. The Serenity blanket has both. In fact, at the time of writing Serenity Sleep Solutions claim this blanket is the only 100% organic, natural weighted blanket on the market. The Serenity weighted blanket is made from 230 thread count Organic Combed Cotton and the Duvet Cover 300 thread count Combed Organic Cotton. The weighted element comes in the form of tiny plant based resin beads and a recycled down fill. 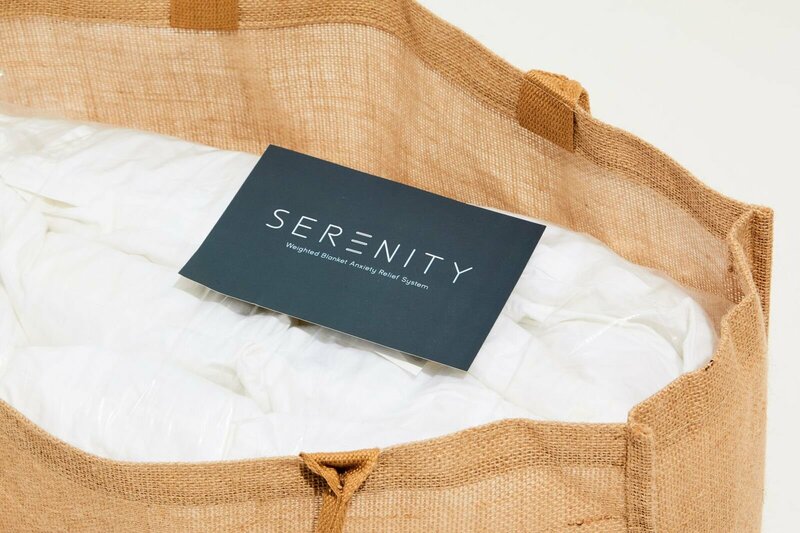 The Serenity blanket is available in 15, 20 and 25 lb sizes. NB. The Serenity isn’t available in the UK, so try the BuzioBuzio, which is listed as organic cotton. The Ourea is one of the most affordable organic weighted blankets I could find, plus it comes in a wide range of sizes, from 8lb upwards. The Ourea weighted blanket is made from 100% organic cotton produced in the Xin Jiang province in China. 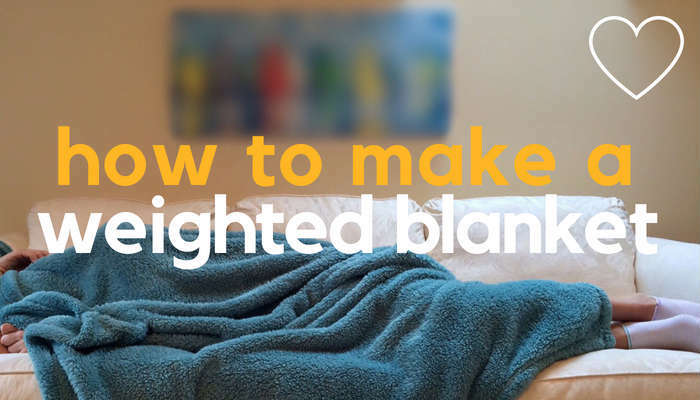 Keep in mind, this blanket doesn’t come with a separate duvet cover, but 100% cotton weighted blankets should be fine to wash by hand, or machine, on a suitable temperature. The weighted element comes in the form of hypo-allergenic glass pellets. Available in a range of colours, from 8lbs up to 28 lbs. The SOMNOS Weighted Blanket offers an alternative to cotton in the form of Tencel, a fibre created from Eucalyptus fibres, sustainably sourced from Austria. A sustainable material, Tencel is grown without pesticides. It’s also produced using a closed loop process that’s considered more eco friendly than other manmade fibre production processes. The Tencel in the SOMNOS weighted blanket also meets the Oeko Tex 100 Standard. This means it’s been tested for harmful substances in line with the Oeko–Tex criteria. Another advantage of Tencel is that it’s biodegradable. The SOMNOS weighted blanket cover (which is removable) is the part that features the Tencel. Tencel is lovely and soft to the touch, plus it’s a very breathable fibre. And if you’re a sensory seeker, the SOMNOS cover also features a soft, tactile design, rather than the smooth design typical of cotton covers. The product is also listed as containing cotton, which SOMNOS state is organic on Amazon Q&As. The weighted element comes in the form of fine glass beads. 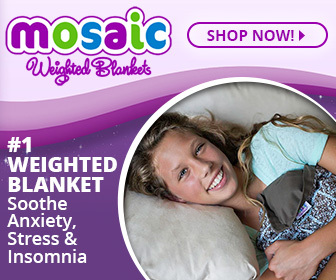 If you can’t find the SOMNOS weighted blanket size you want, they also do a Weighted Comforter in a range of sizes. What About Organic Blankets For Kids? 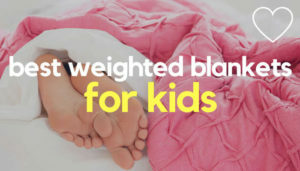 For children, it’s usually recommended you choose a weighted blankets size that’s 10% of a child’s body weight, plus 1-2 lbs. 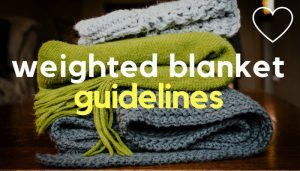 (weighted blankets should never be used with babies or children who cannot move a blanket off their own body unaided). 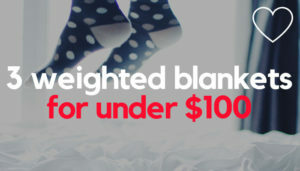 Not all organic weighted blanket brands cater for children though, so depending on what size your child needs, try Ourea (they offer a 8 and 10lb blanket). If you live in the UK, Senso Rex provide a range of kids blankets (made from organic cotton, sourced from Spain). Senso Rex kids’ blankets are also Oeko-Tex 100 standard certified, so they’ve been tested for (and are free of) certain chemicals. 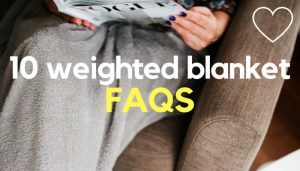 If you want to enjoy the benefits of a weighted blanket, but prefer organic fibres which limit the use of artificial chemicals such as fertilisers, your options are a bit more limited. Organic weighted blankets made from 100% organic cotton are a popular choice for sleep and anxiety, but you also have the option of blankets which feature sustainably sourced materials such as Tencel.